Prizes: 10 x inTENse Diamond pendant. Send the completed entry form attached with one original receipt & one top flap of Kellogg's Special K cereal. 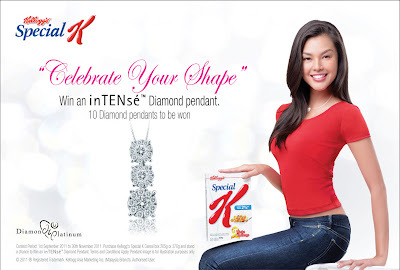 Visit Kellogg's Special K website for more detail. Just Buddy Up with as many friends as possible to walk away with fantastic prizes worth more than RM55,000. Participate now!